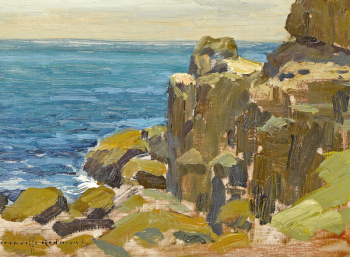 REDMOND, Granville (1871-1935), Philadelphia-born America landscape painter. Redmond lost his hearing as a result of contracting scarlet fever when he was about 3 years old. He went on to attend the California School for the Deaf in Berkeley, where he excelled in art. On a scholarship in 1893, he studied in Paris at the Académie Julian. Redmond returned in 1898 and settled in Los Angeles, where he married Carrie Ann Jean, a former student of the Illinois School for the Deaf. They had three children. Redmond was friend of Charlie Chaplin, whose half-brother Sid, owned and operated a short-lived flight service, Chaplin Airlines, on Santa Catalina Island. Charlie Chaplin collected his friend's art, and through Chaplin, Redmond was introduced to Elmer Wachtel. 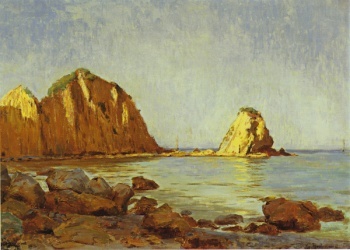 They showed works at the Spring Exhibition held in San Francisco in 1904. 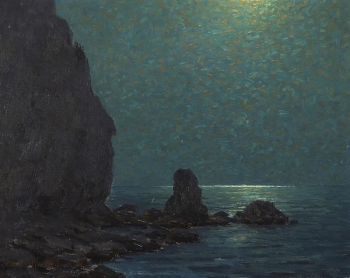 By 1905 Redmond was receiving considerable recognition as a leading landscape painter and bold colorist. Charlie Chaplain was fascinated by REdmond's ability to communicate with ign language as a deaf person. Chaplin’s film, A Dog’s Life, features a loathsome dance hall owner who is played by Granville Redmond. 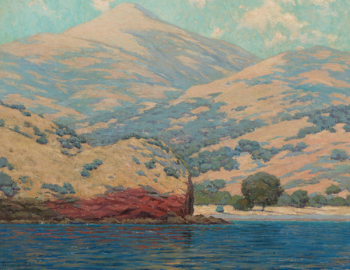 Redmond painted on Santa Catalina Island as early as 1901. 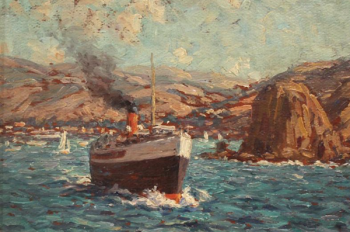 He made several trips to the island, and a painting he did in 1920 of the steamer leaving Avalon is in a private collection in France. This page was last edited on 17 March 2019, at 08:32.